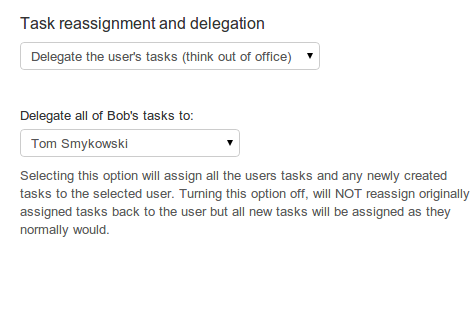 Reassign all the user's current tasks to a different user. Take advantage of our Out Of Office feature to reassign all the users tasks and any newly created tasks to a different user. Turn the delegation option off and newly created tasks will be assigned as normal. 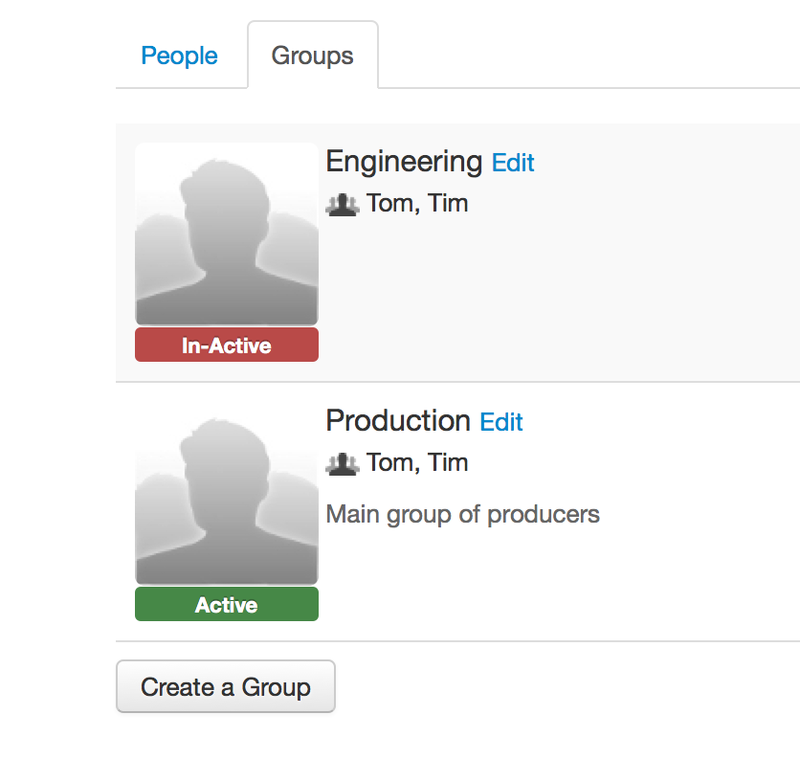 Groups allow you to organize your teams. These groups can then be assigned to tasks allowing you to effortlessly change task assignments with editing the workflow. 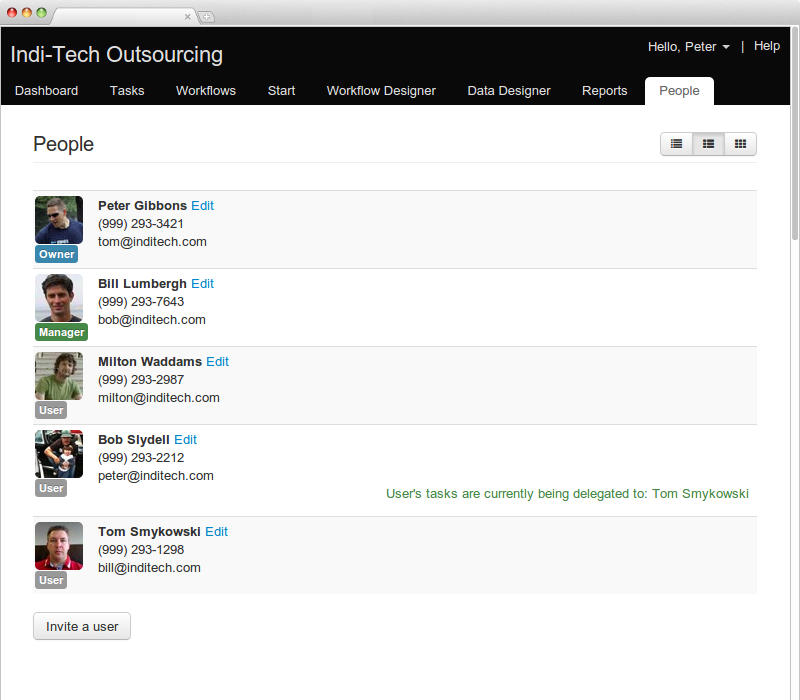 Quickly handle delegating tasks when users are out of the office. Reassign a users current tasks or future tasks with little fuss. 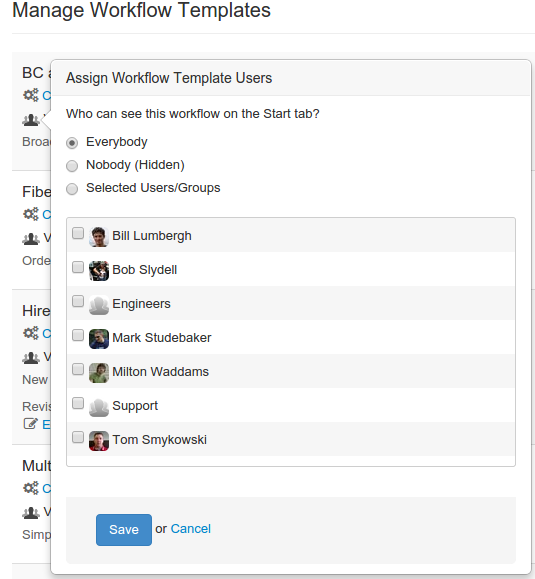 Simple and intuitive options to control which workflows, individual users and/or groups of users are able to start.